Are you a great cook? or have a really special signature dish that you can showcase and share with the Indoindians community? Food is a daily necessity and being able to cook well is a life skill. It is the only way to ensure healthy nutrition for yourself and your family. Cooking a great meal involves skill and a bit a of magic. What’s Up Chef provides a platform to showcase your recipes, share your skills and tips with the community. We will reach out to you to invite you a food tasting session wherein you can bring a sampler of your signature dishes for the organizing committee to test and taste. If your dish is selected, then it will be included in the upcoming What’s Up Chef events to be held at Hotel JW Marriot, Mega Kuningan, Jakarta. 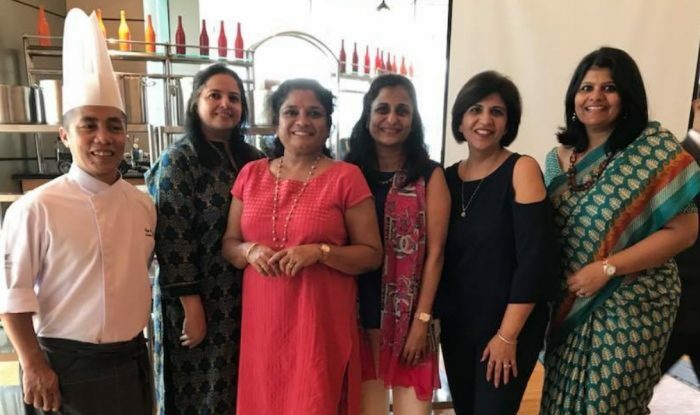 Our previous cooking demontrations with Aparna Narang, Sarita Pansari, Shanthi Seshadari, Ruchi Goyal, Sonal Sadarangani and Ritu Agarwal have been a great success. There is no participation fee to this event. Participating chefs are expected to bring all food ingredients and special equipment required for the cookery demo. They can also bring 1 assistant. Participating chefs to provide signature dish for tasting for the audience. Audience numbers will be intimated in advance. General equipment and workspace will be provided by at the venue for the cookery demo. The demonstrations will be recorded. Recipes in full have to submitted at the time of recipe testing and tasting. Indoindians would have all rights to the media generated by the event and recipes shared. Participants will be informed of the requirements for the event and any deadlines associated therewith.